Welcome to Craftsman Creek Furniture. We have opened our doors for business in Colome, SD. We are now creating custom-crafted furniture for Tripp County and surrounding areas. 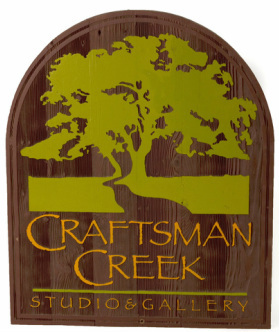 Craftsman Creek's unique furniture comes from local wood from South Dakota, Nebraska, Minnesota and Iowa. Our furniture pieces are designed for each individual's lifestyle and can be shipped all over the country. Please feel free to scroll through the furniture gallery at past projects to spur on ideas for your next personalized piece. Property of Craftsman Creek Furniture 2103.